Shinto is Japan's faith. It is not a religion or a philosophy; it does not have a scripture or the concept of an after-life. It co-exists and intermingles with Buddhism. Shinto is a belief that humans and spirits (called "kami") walk this world together and that kami care about humans and want us to be happy. Japanese people communicate with kami through rituals that both acknowledge the spirits and express human desires or wishes (with the hope that kami will intervene to help achieve those wishes). The name Shinto comes from Chinese characters for Shen "divine being" and Tao "way" (Way of the Spirits). A Shinto shrine is the dwelling of kami, which could be ancestor spirits, spirits of concepts important to humans -- such as rain, rice, or fertility -- or they could even be the kami of extraordinary historical figures. Japanese people go to a Shinto shrine to visit kami and, upon entering, perform rituals to cleanse themselves of anything impure (disease, bad luck, pollution, immoral thoughts, etc.) that might separate them from kami. 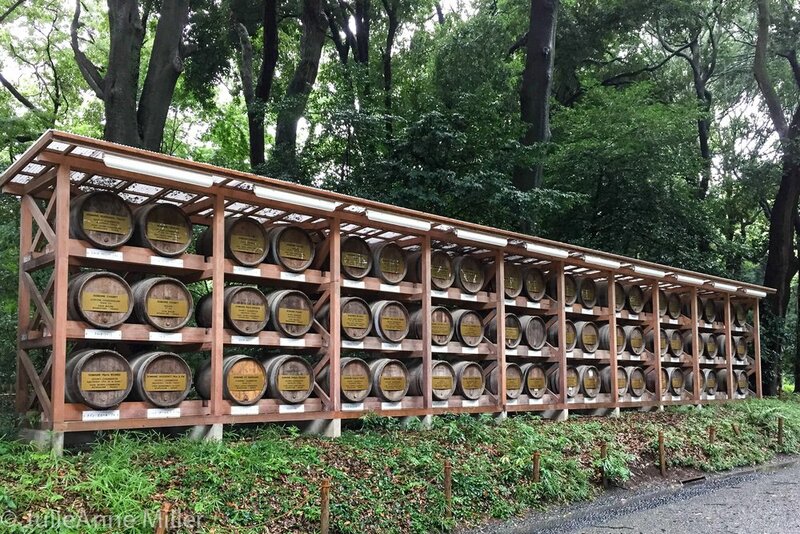 The Meiji Shrine is an Imperial shrine, built and administered by the government in 1920 to honor Emperor Meiji, the first emperor of the modern era. Emperor Meiji ascended to the throne in 1868, consolidated power away from the shoguns and samurai to create a unified government, and ended Japan's feudal era by creating a civilian army and opening up to western influence. This period of modernization is known as the Meiji Restoration and was characterized by the notion that Japan could "dominate or be dominated" by the West's superior technology. Japan threw itself into learning all it could about western innovations so that it could strengthen itself and prepare effective defense. Torii, which are the large gates that make the entrance to a shrine and its courtyards. Shrine guards, often in the form of dogs or lions, positioned on either side of the shrine entrance. Water trough (Temizuya), where you are supposed to wash your hands and mouth using the long-handled ladle (Hishaku) as a purification ritual before entering the shrine. Main hall and offering halls, where visitors pray and make offerings. Wooden plates, called Ema, where visitors write their wishes. 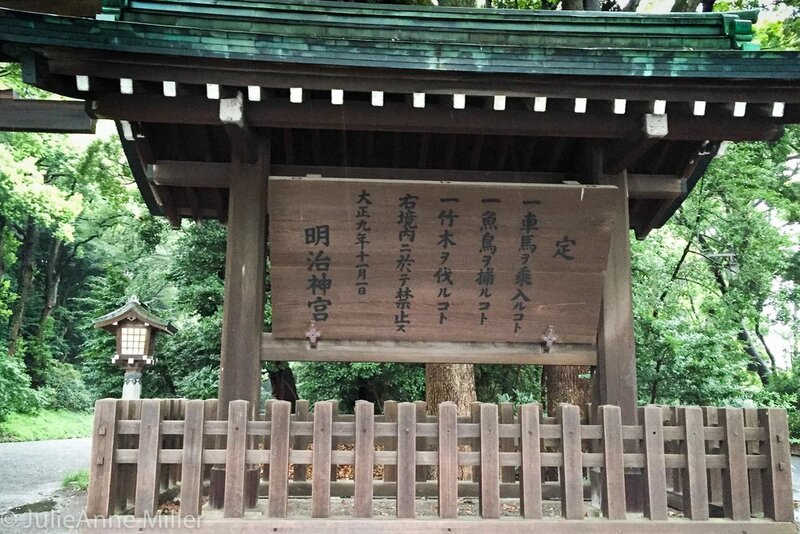 Shimenawa, which is a straw rope with zigzag paper strips (seen in the photo above, hanging between two trees), which marks a sacred boundary. Omikuji, which are the paper fortunes tied to wire or trees that portend good or bad luck.